With the general election five months away, more Outside cash is making its way into the Alaska campaign to legalize marijuana. The Marijuana Policy Project injected $140,000 into the Campaign to Regulate Marijuana Like Alcohol in Alaska at the end of May, according to filings with the Alaska Public Offices Commission. It marks the second largest donation the campaign has received this election season and pushes the contribution total for the campaign just over the half-million dollar mark. In comparison, the group opposing the measure, Big Marijuana. Big Mistake. Vote No on 2, has raised a mere $31,000 since organizing in April. Most of that money came from a single donation from the Chenega Corp., an Alaska Native village corporation based in Anchorage, which gave $25,000 to the campaign last month. At stake is Ballot Measure 2, an initiative that would regulate and tax marijuana like alcohol in Alaska. 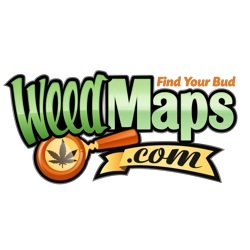 If approved, the initiative would regulate the production, sale, and use of marijuana to adults 21 years of age and older and tax its commercial sale. 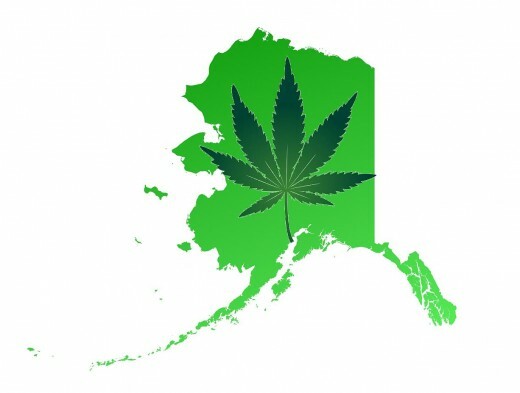 Alaska would become the third state to legalize marijuana, behind Washington and Colorado. The initiative’s language is largely based on Colorado’s law. Proponents say the measure is long in coming and that the “prohibition” on marijuana isn’t working. Opponents argue that it’s too much, too soon, and that Alaska doesn’t need to be the testing ground for marijuana legalization. Polls conducted earlier in the year put support for the initiative at around 50 percent. The $140,000 doesn’t mark the biggest donation from the Marijuana Policy Project, a national group that works to advocate for marijuana legalization across the U.S. In March, the organization contributed $210,000 in cash to the Alaska campaign. It also sent one staff member, Chris Rempert, to serve as campaign director. Pro-legalization campaign spokesman Taylor Bickford said the donation will be used to “continue educating Alaskans” about the benefits of legalizing marijuana here. He said it was not intended to serve as a response to the large donation from Chenega. “We have our own strategy and our own plan that we will be executing between now and November,” he said. Deborah Williams, spokeswoman with the Big Marijuana. Big Mistake. Vote No on 2 campaign, was not surprised to hear about the large donation Thursday, nor was she concerned, she said. “We always anticipated we would be grossly outspent,” Williams said. The anti-legalization campaign has focused on maintaining a grassroots presence, working more to start conversations and participate in forums that “get the truth of this initiative out” Williams said. Williams noted that other Alaska political battles have proved that Alaskans don’t take well to Outside groups pushing agendas in Alaska. “No matter how much money the Marijuana Policy Project and other Lower 48 entities put into this battle, they can’t eliminate those truths,” Williams said. Bickford rejected the idea that the Marijuana Policy Project was pushing any sort of agenda. He said the group has been working to reform marijuana policy in Alaska for 20 years, and in that time has built meaningful connections in the state. “Alaskans are going to focus on the issues. They’re not going to focus on distractions and fundraising,” he said. An overwhelming majority of Americans believe that the legalization of marijuana is inevitable. We’ll soon find out if they’re right. Voters in Alaska and possibly Oregon will decide this November whether their states will join Colorado and Washington in legalizing the commercial sale and recreational use of pot. Similar initiatives are at varying stages in more than a half-dozen other states—Nevada, Arizona, and California among them—where advocates are looking toward 2016, when they hope the presidential election will turn out enough liberals to push those efforts across the finish line. All told, more than 1 in 5 Americans live in states where marijuana use has a legitimate chance to become legal between now and when President Obama leaves office. It’s not just at the ballot box where the pro-pot crowd is putting points on the board. Lawmakers in at least 40 states have eased at least some drug laws since 2009, according to a recent Pew Research Center analysis. According to the Marijuana Policy Project, proposals to treat pot like alcohol have been introduced in 18 states and the District of Columbia this year alone. Meanwhile, 16 states have already decriminalized marijuana, according to the pro-pot group NORML—Maryland will become the 17th in October. In large swaths of the country getting caught with a small amount of weed at a concert is now roughly the same as getting a speeding ticket on the way to the show. While not leading the charge, the Obama administration is allowing states the chance to experiment. The feds have given a qualified greenlight to Colorado and Washington to dabble in recreational weed, and have even taken small steps to encourage banks to do business with those companies involved in the quasi-legal pot trade. Given this momentum, it’s not difficult to see why 75 percent of Americans—including a majority of both those who support and those who oppose legalization—told Pew pollsters in February that they now believe it’s a matter of when, not if, the nation’s eight-decade-long prohibition of pot ends. The question is: Are they right? It wasn’t until 2013 that a majority of Americans said that they supported making it legal to use weed. While such caution is reasonable, it’s obvious that things are different now than they were 40 years ago, when then-record levels of support for legalization were good for little more than a vocal minority. It wasn’t until 2013 that a majority of Americans said for the first time that they supported making it legal to use weed. Support now stands at 54 percent in the most recent Pew poll, 23 points above where the legalization effort stood as recently as 2000 and 13 points higher than in 2010. Even those fickle Baby Boomers are back on board, with 52 percent now in favor—5 points more than that generation’s 1970s-era high. Meanwhile, each passing year brings us an electorate more familiar and less fearful of marijuana. Some pot opponents warn that medical marijuana serves as a Trojan Horse for the larger legalization movement, but that argument relies on Americans believing that the dangers of possibly legalizing recreational weed tomorrow outweigh the benefits of actually prescribing it to cancer patients and others in need today—a viewpoint shared by a diminishing number of Americans. While 54 percent of respondents told Pew they thought “the use of marijuana” should be made legal, things were more complicatedwhen the question changed from a simple yes-or-no to one where people were asked to pick between three choices: 39 percent said that pot “should be legal for personal use”; 44 percent said it “should be legal only for medicinal use”; and 16 percent said it “should not be legal.” Still, the answers to the original question—“Do you think the use of marijuana should be made legal, or not?”—suggests in an all-or-nothing environment, most Americans choose the former. Legalization in theory is different than legalization in practice, and an unforeseen disaster in Colorado or Washington—be it from the production of hash oil or the next time a New York Times columnist overindulges in baked goods—could always affect public opinion. Colorado Gov. John Hickenlooper, a Democrat who opposed his state’s 2012 legalization initiative, for one, has warned his fellow governors to take a wait-and-see approach to their own state’s legalization efforts. But it’s looking increasingly like the voters may not be so patient if given the choice.